My leaf mantis ate her first Dubia since molting. 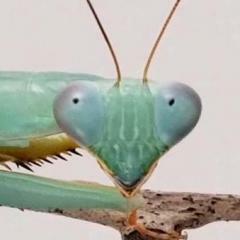 I always notice that right after a molt, I have to jumpstart my mantids feeding behavior with flies to get the hunting triggered again...interesting! Hope everyone is having a great Friday!